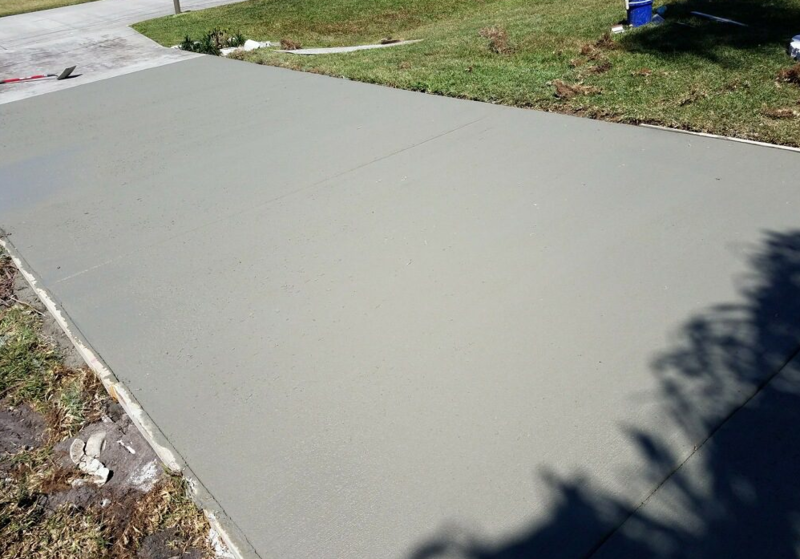 The team at the Concrete Driveways Cleveland is comprised of ​professional concrete contractors and ​concrete finishers who are specialists and technicians in the art of constructing ​top quality driveways. Our team can successfully fulfill all your needs and expectations for your residential and commercial property. Trust us with your next concrete project not only for our knowledge and craftsmanship but for the quality of our people and the affordability of our services. 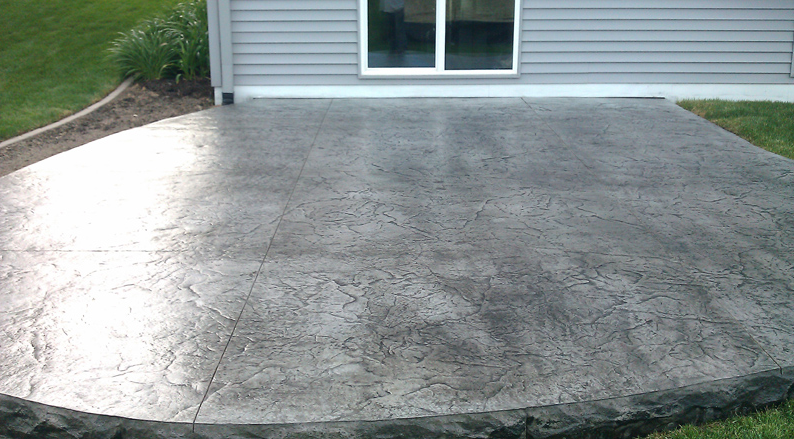 Let us show you why we do ​​concrete installation in Cleveland, Ohio the right way. Read on to learn more about us and what we do. 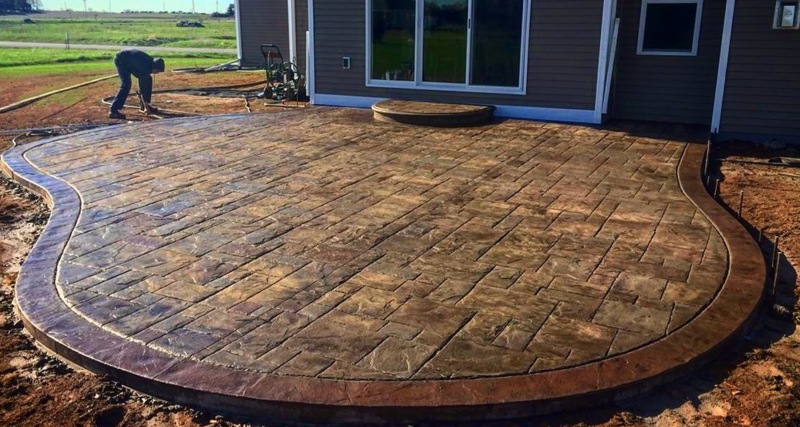 As the ​​top rated driveway contractors in the area and throughout Northeast Ohio we have inherited a legacy of creating technically and functionally unique structures that not only last longer but support heavy use and enhance the beauty of your home or building for a curb appeal that is second to none. Typically most of our projects consist of and can be categorized into the distinct stages of design, base construction and reinforcement, formwork, concrete works, and surface finishing. In addition, some of our work includes the repair and reinforcement of joints and surface finishing's from years of deterioration or improper installation. 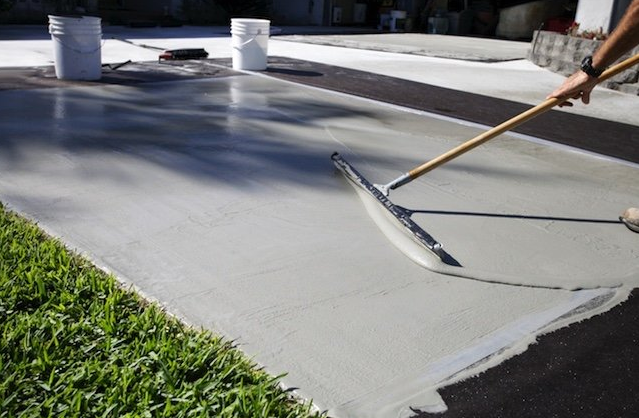 As the best concrete installers in the area our basic goal at the is to provide a safe and accessible pathway from the street to your garage or carport within the boundaries of your property. We ensure that your experience will not only be thorough and complete, but enjoyable throughout the planning process. We are not only experts in our field, we also make it a point to inspect the construction and evaluate the procedures based on the results at every stage. We take all the corrective and preventive measures in real time to complete the construction and finishing to perfection. Proper installation of the base or foundation of any project is the key to structural stability, safety, and durability. 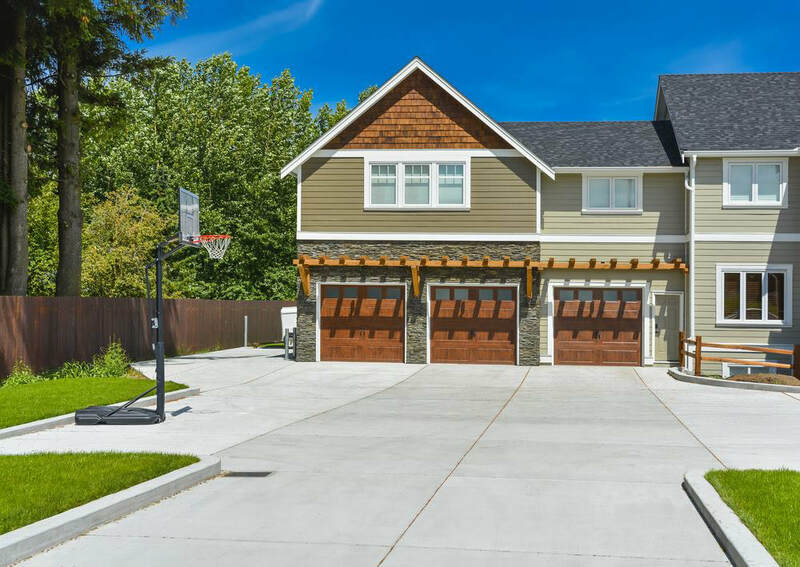 During the process of our residential driveway installation projects we select the proper construction materials based on the location's subsoil condition, drainage properties, compactness along with other parameters. The thickness of the sub base we lay varies from four inches to twelve inches and above, depending on the specified parameters and what it is you are producing. 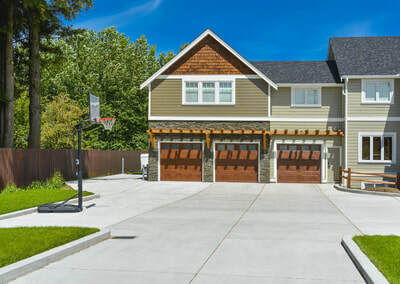 Unlike some footers which usually are specified to be about 12 inches deep or more driveways for single family homes are usually 4 inches thick and 6 inches in the apron near the street. We can use the Concrete Driveway Reinforcement to enhance the compactness of the structural elements and prevent the cracks. During the foundation installation, we take care of diverting and modifying the existing underground utilities, like the water sewer, power lines, water supply lines etc. We ensure complete accessibility to these lines after the construction of the driveway. Our form work is strong enough to support the concrete layer and to retain it within the driveway framework. 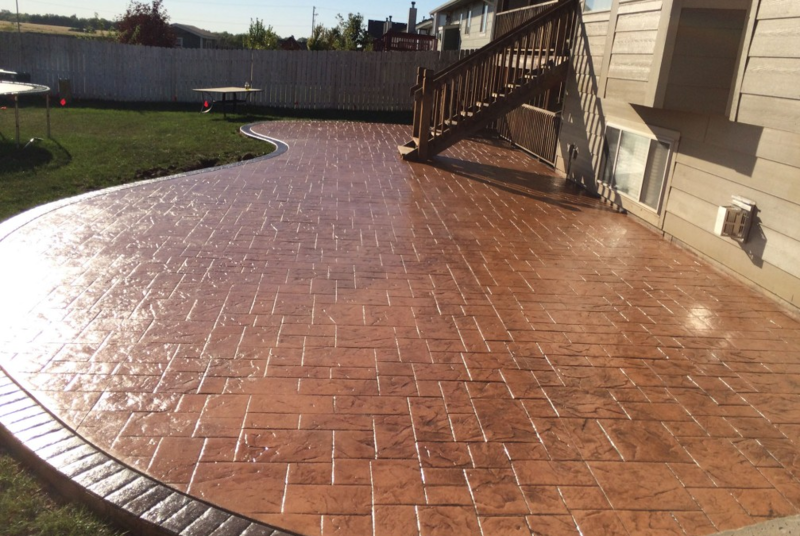 Our efficient usage of cross forms, side forms, and the panels can retain the quality and durability of the driveways for many decades. Timely treatment with the releasing agents ensures comprehensive protection of the driveway edges. 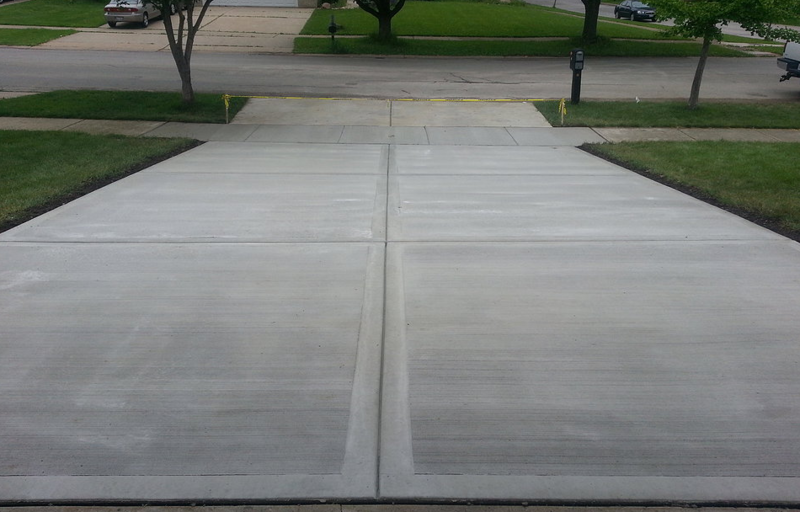 Customized driveway edging can be done in the form of raised structures or flush types. The raised type is above the level of the driveway. We can enhance the aesthetic and functional characteristics of the edges using granite, fiberglass, asphalt, and other material combination. Flush types allow easy draining of surface water into the sidewalks or the neighboring garden. We can also opt for Concrete Curb option when the edging may not be practical. 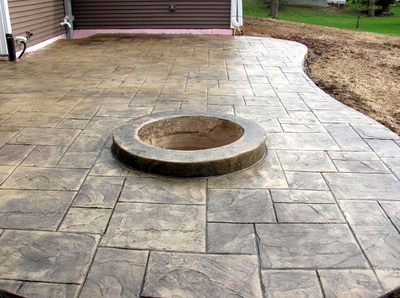 Our Curb Installation procedures are economical, simpler and faster. 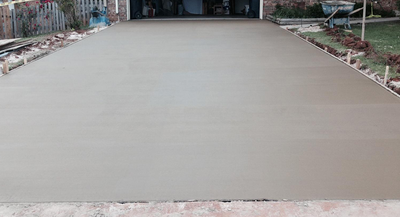 At this stage of the process, we prepare the base surface on which the concrete gets poured. We fix all the surface imperfections and make it even. The frameworks, which we place along the length of the driveway determines the design of the stamped concrete patterns. 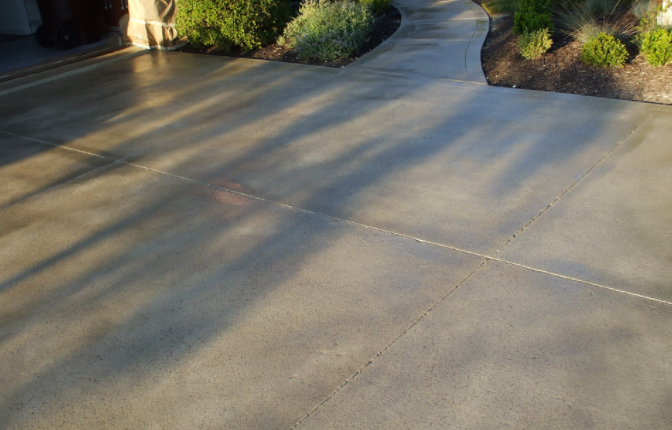 Our Concrete Stamping procedure is one of the greatest ways of enhancing the decorative color and finishing style of the Concrete Driveway. 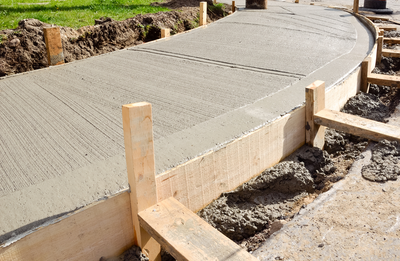 Our Driveway Installation process begins with the concrete mixing and pouring onto the driveway path. For this, we use the highest quality of cement, sand, crushed stones, adhesive materials, and other ASTM standard specified ingredients. 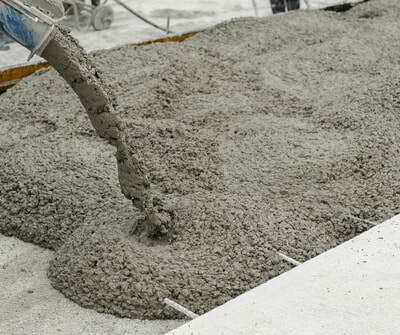 We can supply the ready mix concrete to the installation site or use our high end portable concrete mixers onsite. All the material specifications including the rating, composition, and dimensions will be strictly according to the ASTM standards. 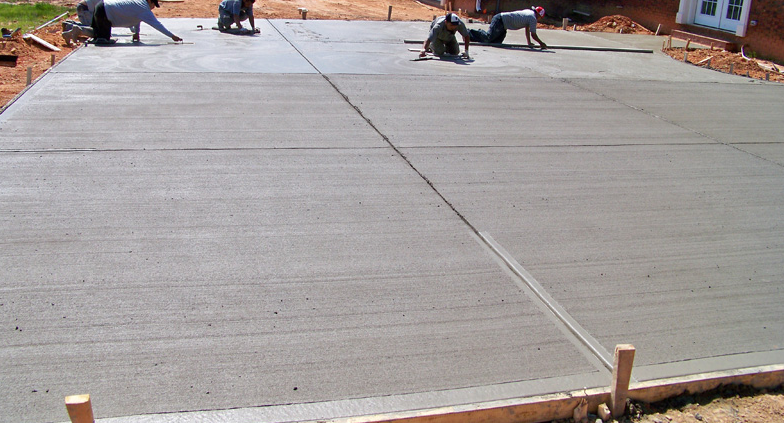 Our experts take care of pouring and surface finishing of the multiple concrete layers to perfection. We can use the coloring concrete, in combination with the multiple hues and shades. Joint designing and reinforcements ensure completely compacted and structurally stable concrete driveway for your vehicles. We can also perform Concrete Resurfacing, as a part of maintenance whenever required. Set Up Your Free Estimate Now! Still Need to Set Up an Estimate? Click Here! Our concrete sidewalk installation process can run in parallel with the Concrete Driveway Installation, or begin after the procedures are complete. 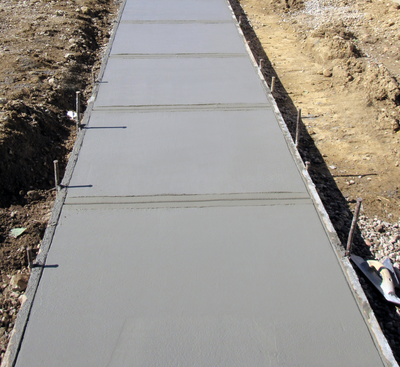 Our Concrete Walkway can run along the length of the driveway, into the gardens, around your property and lead to the multiple entry/exit points in your home. We also under take the construction and repair works for the Concrete Parking Lots. Don't Leave Without Scheduling Your Free Estimate!